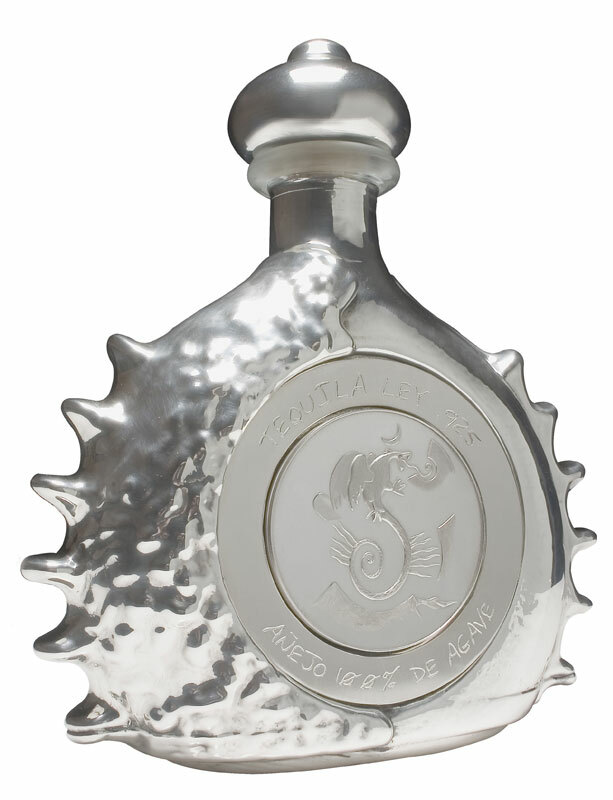 Distilled by Hacienda La Capilla, S.A. De C.V.
Each one of the limited-edition containers, which resemble a barbed sea shell and are engraved by Alejandro Gomez Oropeza, a Mexican artist, are filled with Pasion Azteca tequila, made from pure sap of the blue agave plant that has been fermented, distilled, and aged for six years. 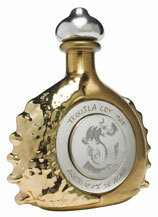 Gold & Platinum Liquor Bottle. 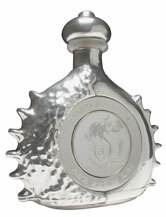 Silver & Gold Liquor Bottle. 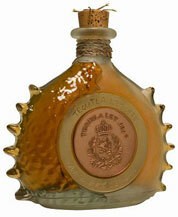 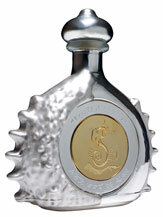 "The record for the most expensive bottle is $225,000 (£120,000). 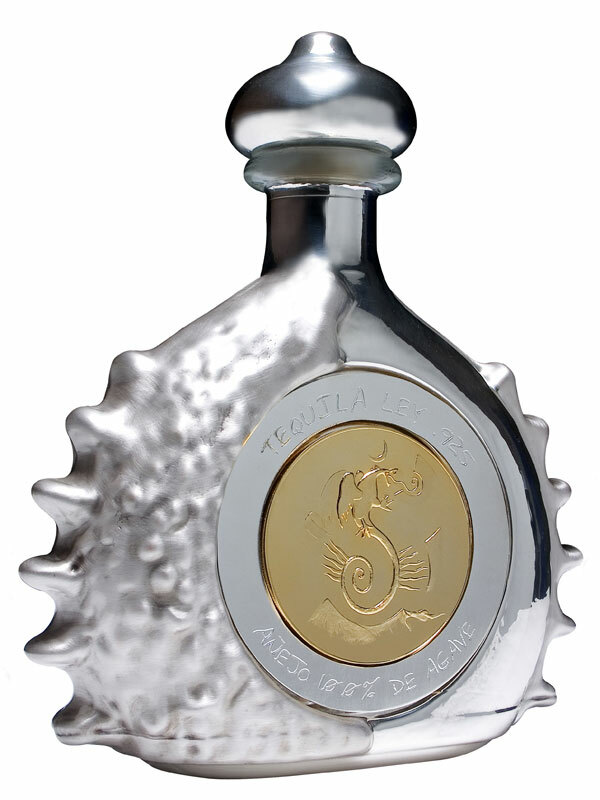 The Platinum & White Gold Tequila bottle was sold by Tequila Ley .925 to a private collector in Mexico City, Mexico, on 20 July 2006." 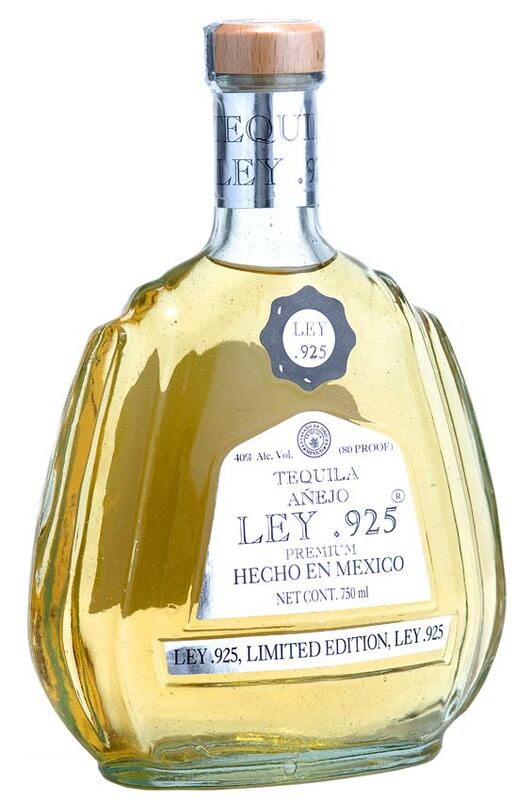 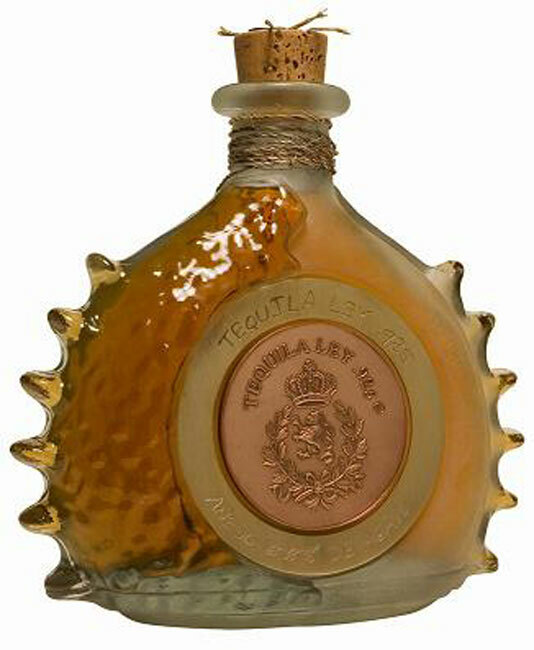 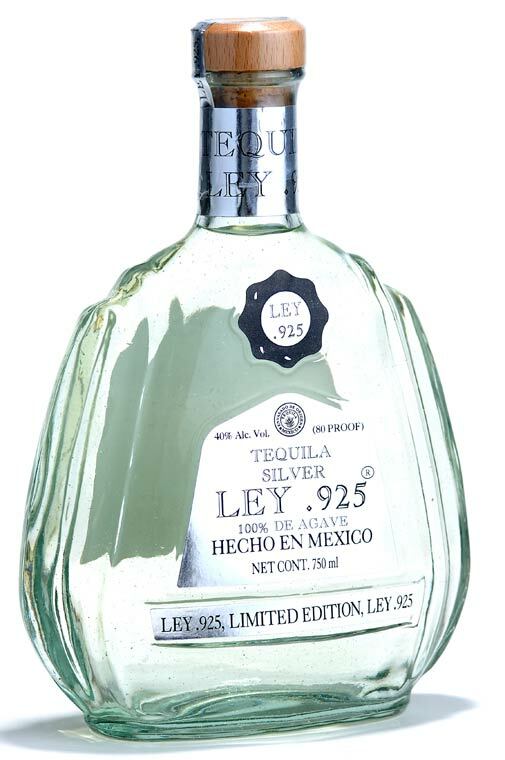 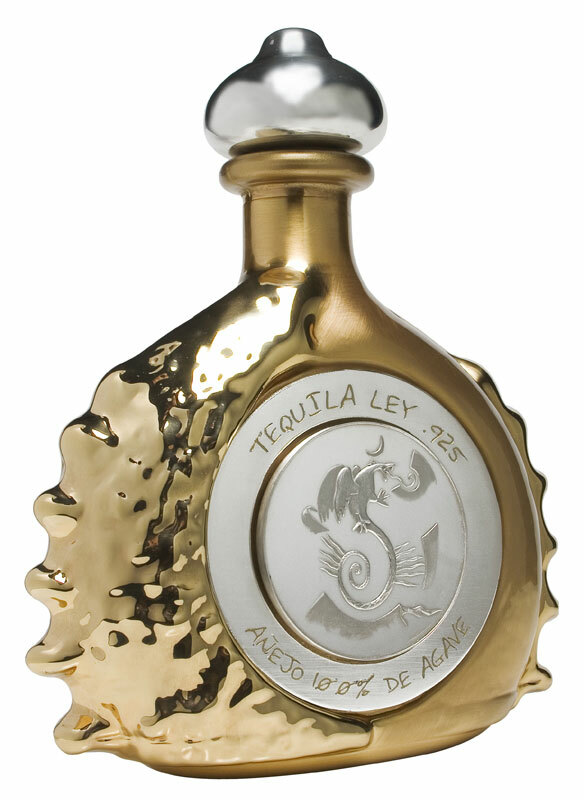 Fernando Altamirano, CEO of Tequila Ley .925 states, "this is a really unique bottle of Tequila and our client, a US based collector of fine wines & spirits, will treasure this prize to add to an already impressive collection."